The Academy’s goal is to facilitate a transregional exchange on concepts of space. To adopt such a perspective, research being conducted in or on Latin American countries must be juxtaposed with discussions taking place elsewhere and located within a global context. At the same time, the extent to which there is any kind of common definitional and epistemological basis for the construction of a global comparative discourse needs to be considered from a historiographical perspective; this applies not least of all to terms such as “translocal,” “transregional,” and “transcultural.” The variety and complexity of the interpretive concepts will be examined through the lenses of historiography, discourse analysis, and art criticism. The Academy is deliberately not limited to one era and avoids all contemporary historical caesura. In doing so the goal is not least of all to emphasize an opposition to economic explanatory models and those based in media technology. Thus, the historical spectrum has been intentionally left open. 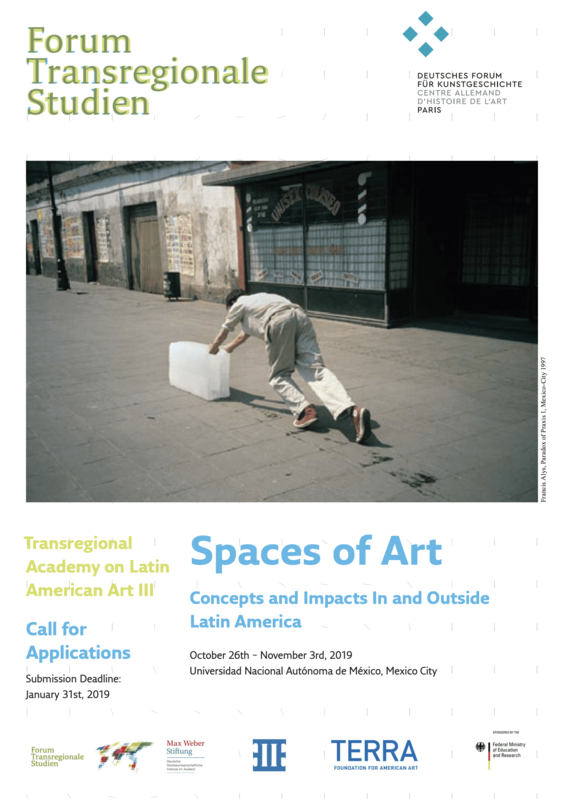 The Transregional Academy is set in the framework of the German Center for Art History Paris’s research focus “Travelling Art Histories: Transregional Networks in Exchange between Latin America and Europe” and is being organized in close cooperation with the Network of Art Historians at Latin American Universities and Museums. It is preceded by two Transregional Academies, one on the theme of “Modernism: Concepts, Contexts, and Circulation” held in São Paulo in 2016 and the other on “Mobility: Objects, Materials, Concepts, and Actors in Art” in Buenos Aires in 2017. Transregional Academies encourage intensive peer-to-peer debates and foster new perspectives that emerge from small-group discussions. Participants are actively involved in structuring the program and developing its content. They present their individual research projects and, together, assemble thematic discussion groups. The majority of the findings result from intensive small-group work whereas others emerge in exchanges with local experts. Up to 20 doctoral candidates and postdoctoral researchers (within five years of receiving their PhD) from different countries and various academic contexts will be given an opportunity to introduce and discuss their current research in an international and multidisciplinary setting. Participants will receive a grant to cover transportation and accommodation costs. 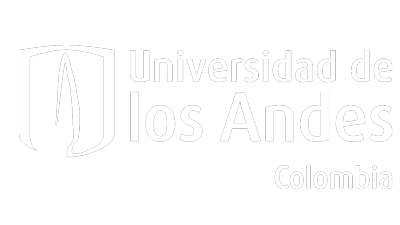 The program is aimed at researchers in art history as well as neighboring disciplines, such as postcolonial studies, literary and cultural studies, anthropology, architecture, history, political science, sociology, and media studies. The goal of the meeting is to examine on-going projects as they relate to the above-mentioned questions from a comparative perspective. The research projects should be closely linked to the academy’s themes, exhibit a Latin American focus, and adopt an explicitly transregional—in other words, transgressive—perspective. — a letter of motivation (2,500 characters, incl. spaces) that clearly shows how your project fits into the current research landscape and the academy’s description. — a short biography (1,000 characters, incl. spaces, running text) that includes information on your country of origin and current residence. — an outline that summarizes your current research project (5,000 characters, incl. spaces), — and the names of two academic references (no letter of recommendation required). Please email all documents in one PDF file to artspaces@trafo-berlin.de by no later than 31 January 2019. The Transregional Academy is a format of the Forum Transregionale Studien and is a part of the strategic cooperation with the Max Weber Foundatin – German Humanities Institutes Abroad (DGIA). It is supported by the German Federal Ministry of Education and Research (BMBF). The Terra Foundation for American Art is supporting this academy by providing two fellowships. The Institute of Aesthetic Research (Instituto de Investigaciones Estéticas) of the National Autonomous University of Mexico (UNAM), since its foundation in 1936, research has been carried out in its installations into the different forms of artistic expression in Mexico; the diversity of studies undertaken by the body of researchers in the fields of criticism, theory and history of art across a horizon that reaches other latitudes. It has thus become a space in which the plastic arts converge with dance, literature, photography, cinema and music.